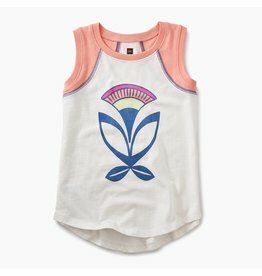 Adorned with a bold, blooming adobe flower, this easygoing top is the perfect fit for sun-soaked summer playdates and special events alike. Relive a little of the 80's in an updated zipper-front jumper and legging set! 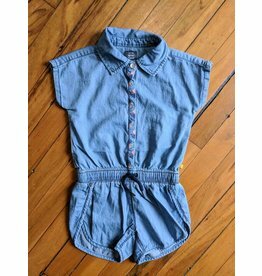 Features cuffed sleeves and pockets. Leggings are full-length with a contrast pink waist-band. 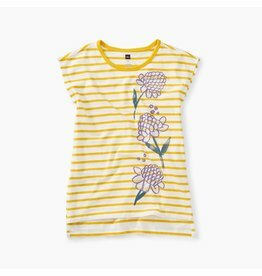 Catch a butterfly (or a bunch) with this garden-inspired cotton tee showcasing a bundle of sparkly butterflies and stylish shoulder ties. 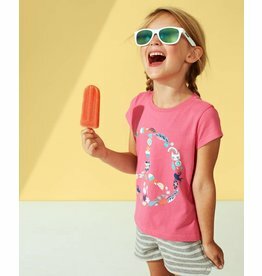 A classic tee with the sweetest sentiment. 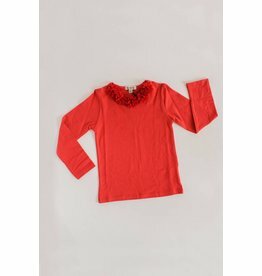 This basic long-sleeve tee is dressed in gorgeous chiffon flowers at the neck. 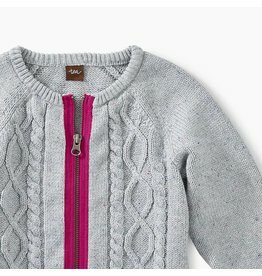 A little Donegal and a pink zip make for cozy fall cuteness that dresses up or down with ease. 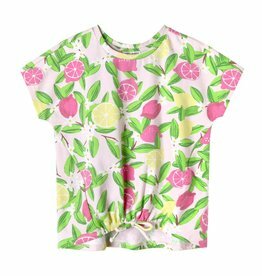 The sweetest tunic in her closet, this pink lemonade inspired crew neck top features a knotted front. 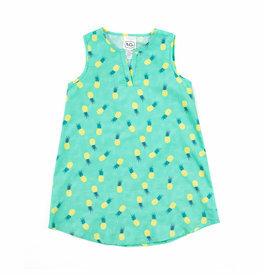 Just like the cake, this Funfetti Utility Blouse is filled with speckled color and functional detail. This little darling highlights the ginger growing flower, a popular spice in Vietnamese cuisine. Bring the delight of Southeast Asia to her and celebrate cultures that make us all unique. We might be biased, but we're pretty sure this will be the coolest thing in her closet! A 70s inspired jumper meets an updated body and on-trend brights. Hellloooo, summer. 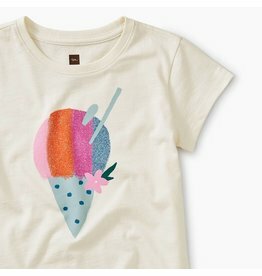 Sweeten up her style with a print that's made to wear and wash season after season. Remember in high school when you would sneak into your older sister's closet and wear her favourite things? 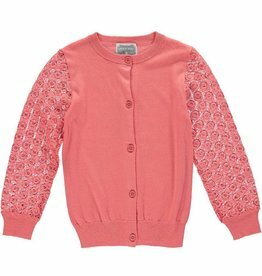 This super soft, super silky, super cute peach silk cardi was defintely one of them! 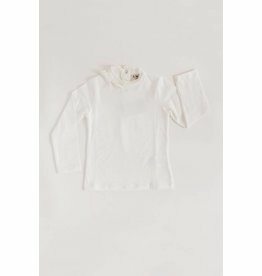 This gorgeous, buttery soft tee with the affluent high-neck is a tiny take on a classic women's garment. Cover it up, beach it up, or dress it up, the Michelle Tunic dress is a shirt, a dress, a bathing suit cover-up, and so much more. 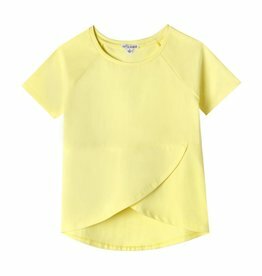 This mama-made t-shirt pull on style is effortless and chic! 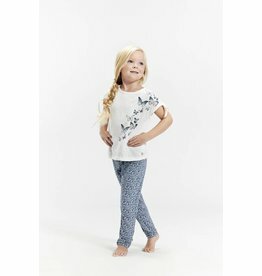 Let's face it, we're all looking for that "Anthro" look, even for our little ones. 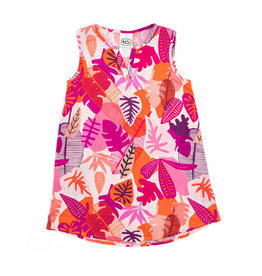 Look no further... Organic Bellybutton wares hit homes this spring and we couldn't be more ready! 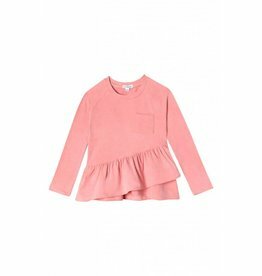 An angled ruffle sweeps around the hem of a long-sleeve tee made from organic stretch cotton. Now she can share this special message with everyone she meets! 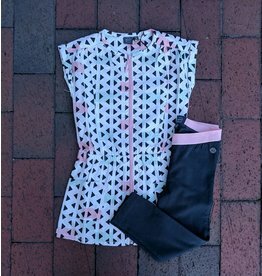 Looking for an adorable top and short set to dress up or down? Art & Eden's lemon drop-esque Peyton set gives her wardrobe a perfect duo of comfort and style! 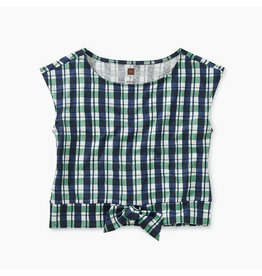 An easygoing style, our bow waist top is sure to be a staple in her spring wardrobe. A little sparkle never hurt anyone. Layer up with a little shimmer. 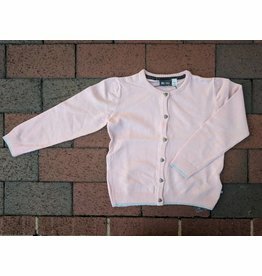 This classic button cardigan (with pockets!) has just a touch of whimsy inset inside each button. Subtle and sweet. Aptly named, this cardigan is the sweetest of them all.